I wanted to finish the serial story I have been writing and of course other things got in the way. Yesterday I spent most of the day dealing with insurance people, government people, bank people and doctors. By the time I was done I was ready to either collapse or kill someone. Justified homicide I say! I certainly was in no frame of mind to write. So I let it go and tried to relax. But I did promise a Halloween story and I’m here to deliver! As for the rest of “On the Run”, I will get to that if it kills me, which it might as tomorrow is the start of NaNoWriMo and I’m not missing that! Okay, enough of my whining. Let me set up the story. Now I’m going to tell you about the poltergeist we had living with us. Now I don’t know if it was the same spirit we all felt that I talked about in The Haunting of Home, but I do know it was a special kind of scary for us kids. The story will explain why. Our house was a two-story duplex. One family living upstairs, my family living down. It had a scary dank basement and a dusty, dry attic. It was an old house. The closest we could figure it was built somewhere in the very early 1900’s or maybe even as early as the 1890’s. We knew about ghosts in the house. After all we had all heard them, even the adults admitted hearing something. We saw shadows, heard footsteps, even the odd sounds now and then. I probably heard and saw more than anyone else. I think I’m more ‘in tune’ with the spirit world. Everyone that lived in that house did not like to go to the basement. It gave off an evil aura. But I’m not going to write about that again. What I want to tell you about is the poltergeist. We had an old fashion walk in pantry in the house. The kind that had a door and was like another room. In fact it was another room. It was lined with shelves and cupboards and had a window on the opposite wall of the door. A small window, but at least it lets in some light. It was of course right off the kitchen. On the other side of the kitchen and pantry were a bathroom and a bedroom. The bedroom was where my little brother slept. My bedroom that I shared with my sister was on the opposite side of the house. One night we all heard banging and crashing in the kitchen. It was the middle of the night and it was loud! We all got up, me, my sister and my parents. We went into the kitchen and my mom turned on the light. The pantry door was open and there were flour and sugar all over the kitchen! I mean it was tossed all over the table and the floor. The pantry was also a mess. My mother screamed my little brother’s name and she stomped toward his room. He was the only one that wasn’t in the room. She found him sound asleep! She had to shake him hard to get him to wake up. I remember being so scared. But I also remember thinking my little brother didn’t do that. There was no way he would have incurred my parents wrath that way. It was too stupid even for him to do. My parents were known to have tempers. Both of them. Back then there wasn’t the no spanking thing there is today. We not only got spanked. We got beat if we did something wrong! My dad would use his fist on the boys. My mom would too but I was usually her favorite target. Not that night though. They thought my little brother was the culprit and he was only pretending to be asleep. I could see he didn’t do it. Even that young I thought he should be covered in flour and there wasn’t any in his room or on him. I remember my mom made us clean up that kitchen and pantry before we could go back to bed. I believe it was a Friday night, because I remember thinking that it was a good thing we didn’t have school in the morning. When this happened, me and my brother were fairly young. I was probably around 9 or ten, him a few years younger. We were close back then and I asked him in a whisper while we were cleaning if he did it. He swore to me he didn’t and I believed him. Yeah, that pretty much says it all. 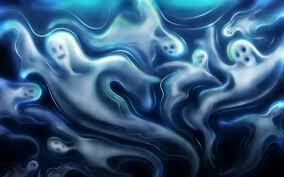 Wikipedia also says this: Single poltergeist cases often range in duration from a few hours to several months. Our poltergeist didn’t last months, but it lasted along enough to have the whole family on edge and me and my poor brother walking on eggshells. Why me? Because our resident poltergeist made another appearance. This time I got blamed. Yeah, lucky me. It happened a few weeks after the first incidence. We didn’t know it happened until we got up one morning. Again, the kitchen and pantry was filled with flour, sugar and cereal. Also powdered milk. Anything that could make a mess was on the floor, shelves and walls. No one heard a sound this time. We all slept through it all. That in itself was rather creepy. How could all this be done without noise? The reason I was blamed? My mom figured my brother could not be so stupid as to do it twice. So it had to be me! Crazy right? Not to her. I swore and cried that I didn’t do it! Because I didn’t! Hell I certainly wasn’t that stupid! And I certainly didn’t want a damn beating! So much for certainties. It was months before it happened one more time. My dad had put a lock on the pantry door for at night. Since nothing had happened for quite some time he felt it had to have been one of us kids. Then that one last time happened. The pantry door was locked. We were all asleep and we heard noises coming from the kitchen. So we all run out there and the kitchen is a mess! Again! The pantry door was wide open and the shelves were full of flour and sugar. Then as I was standing in the doorway while everyone else is in the kitchen blaming one another for the mess, I feel a cold breeze go by me. I mean it was icy. It gave me goose bumps. We cleaned up the kitchen once more and my parents felt certain it was still one of us kids! How we got the lock opened? Well they weren’t quite sure about that, but they were determined it had to be us. I believe we were all grounded for a while. As none of us did it, no one would confess. From what I can remember it never happened again and no one would talk about it. They didn’t want to talk about it. And they like burying their heads in the sand when it came to things they didn’t want to discuss. As for me. Oh yeah I remember. I’ll never forget that cold, icy breeze. It still is after all these years. I would dot forget that either!! Bad that you and your brother got blamed, but good that it stopped. Very spooky. I’m glad it stopped when it did too. It was one of the strangest things that ever happened to me. And I’ve been in a few strange things. Oh I will be emailing you, no doubt there. Talk at ya later! Great story. I believe in ghosts and poltergeist. My daughter had a ghost living in her room. As she grew older, and we moved across the street, she had the ghost move with her. The poltergeist stayed in the apartment in Phoenix after creating havoc for my son. Even the dog could sense it’s presence. Your folks were a lot like mine. Glad that’s over. Abe, my ghost has moved with me all over the country and now in Canada. He’s been with me for a lot of years now. As for the poltergeist, I’m glad it didn’t last long. 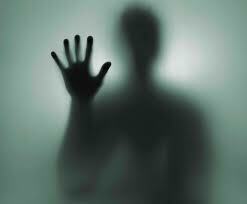 I usually don’t get scared about ghosts but that was scary and so destructive. My dogs through the years have played with Abe many times. He loves animals. He hated my ex. A ghost with good taste. 🙂 How does your daughter feel about having a ghost roommate? All the ghost wanted was for everyone to say goodnight to each other. If we did, it was quiet. I think she left him behind with us in her many moves and now I think he’s with the new family that bought our house. She didn’t really enjoy it but felt it was better that it say with her vs her dad and brother. They both kept guns and she didn’t want them to end up hurting each other in the middle of the night. You see? I knew I knew you before I knew you. & I know that makes sense to you. As crazy as it sounds. 😛 I sensed this about you. This one was good. It gave me chills. I’m going to click on your links out now to the other stories about Abe & the haunted home. And yes, it makes perfect sense to me. *whispers* Mine used to open the cabinets & doors. We’d hear footsteps & one time everything in the house shut off – including water. Freaky, right?